Discussion in 'iPhone and iPad Games' started by DanAllsop, Nov 1, 2016. 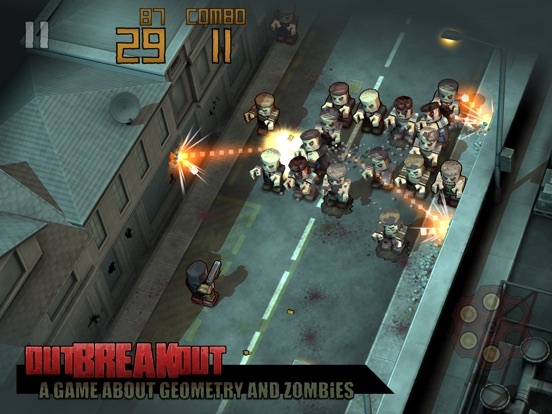 A game about geometry and zombies. 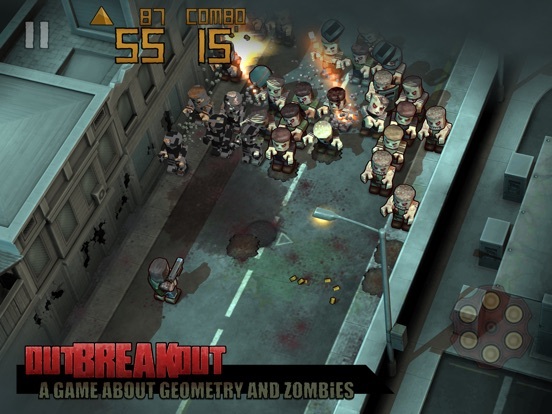 Push your way through wave after wave of the shambling undead. 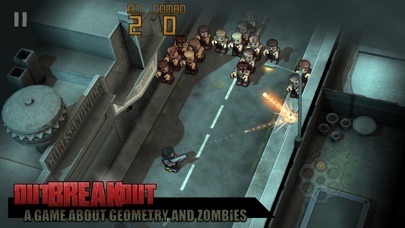 Skillfully aim your shots to bounce off walls and enemies and make street-clearing combos. 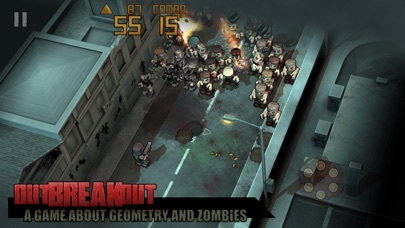 Characters to unlock and highscores to beat. 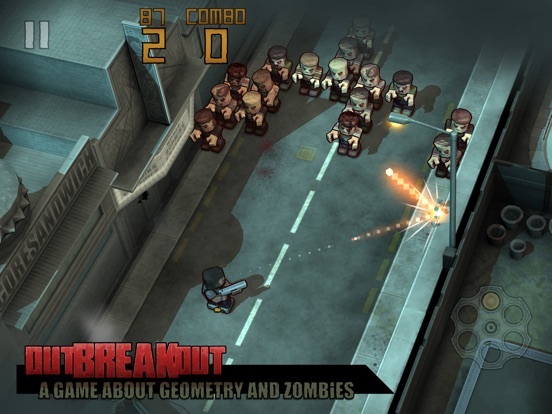 I made a new game which is sort of Breakout only turnbased and with zombies. 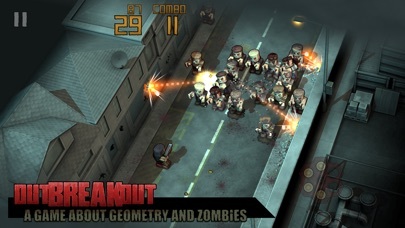 Aiming with the shallowest angle to maximise wall bounces seems best. This results in some big combos which are fun to watch. 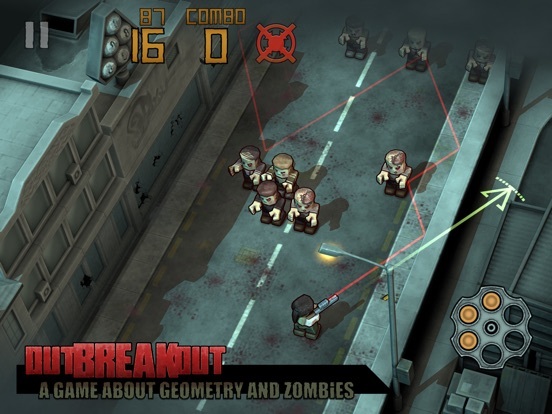 When gaps appear in the zombie lines lines try aiming through them, especially if you have the laser sight; though I'm not clear when the laser becomes available. Instructions are sparse. Filling the magazine at bottom right and then tapping on it gives multiple bullets. I didn't think that the unlockable characters were providing any benefits until I got the guy with dual pistols. Big help. Max score 94 so far. Love the look of this game. 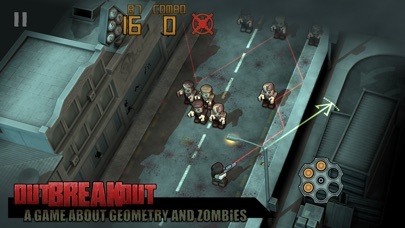 Cool take on breakout. Wish there was some more variety to make it last longer. Been a while. Thought I would add a new Daily Sprint mode while upgrading SDKs to 64bit. ~50 rows to get through and then you can drive off into the night. It's all the fun you need.